Our venue was originally built in 1854, meaning it abounds in character, complete with a full renovation to meet every bride and groom’s needs. The farmhouse has historic features with all of the updated amenities. The interior has beautiful detail that is sure to impress you and your guests on your special day. The Wedding Tree is the most popular ceremony spot at Vinewood Stables. A beautiful pecan tree sits in our pastures, so your ceremony can be held beneath a leafy canopy with a picturesque background. 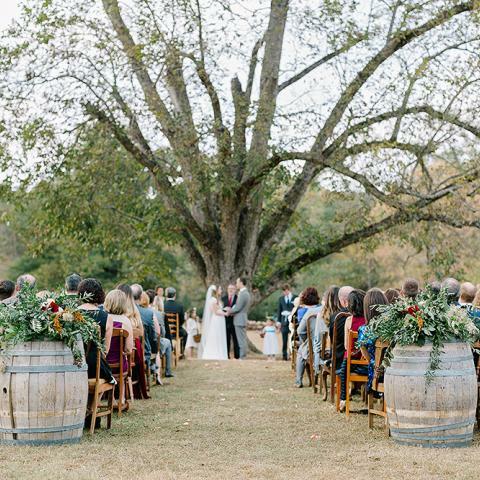 A huge benefit of this ceremony space is the tree provides ample shade for your guests so your ceremony can be comfortable and breathtaking. The Stables at Vinewood Stables date back to the 1830s, when they were used as a cotton plantation. They now create perfect charm for your wedding venue.The historic barn features reclaimed brick flooring and a 12-light chandelier overhead, combining classy and charming for a beautiful look. 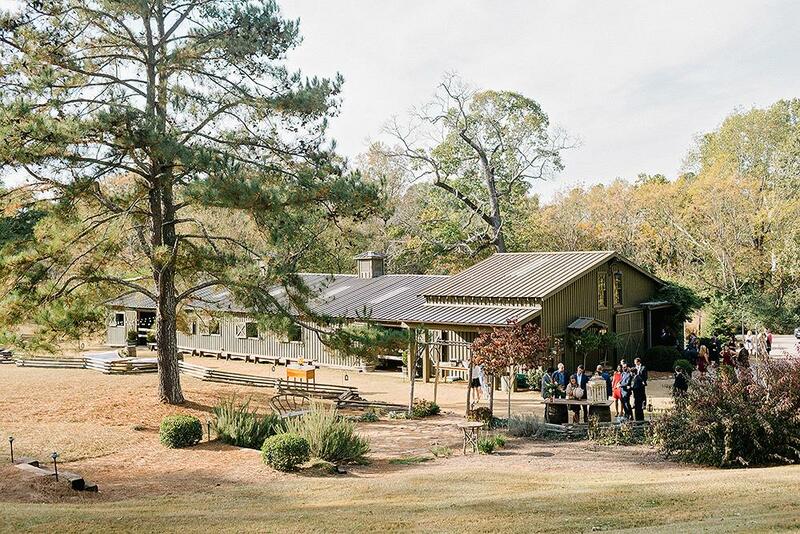 Vinewood Stables is one of the many wedding venues in Atlanta, that is located just outside of the city. This stunning venue sits just 30 miles southwest of the Atlanta airport, making it convenient for guests, and there are many delightful hotels and restaurants near the venue for you and your guests to enjoy!